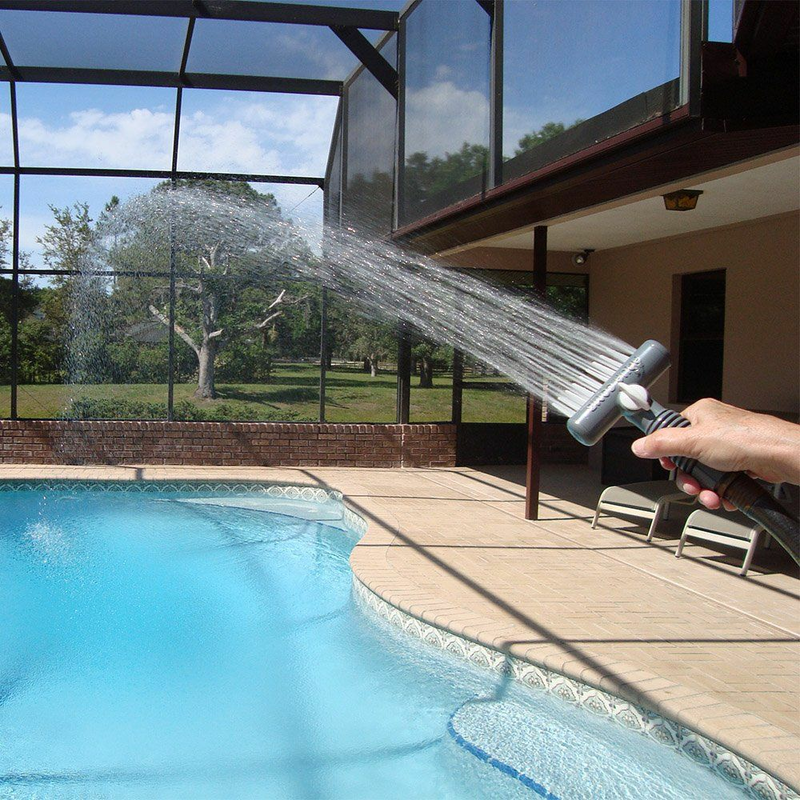 Clean your spa filter in as little as 5 minutes with the pool water filter cartridge cleaning tool! Water Pressure operates from 35lbs/sq in to 55lbs/sq in. 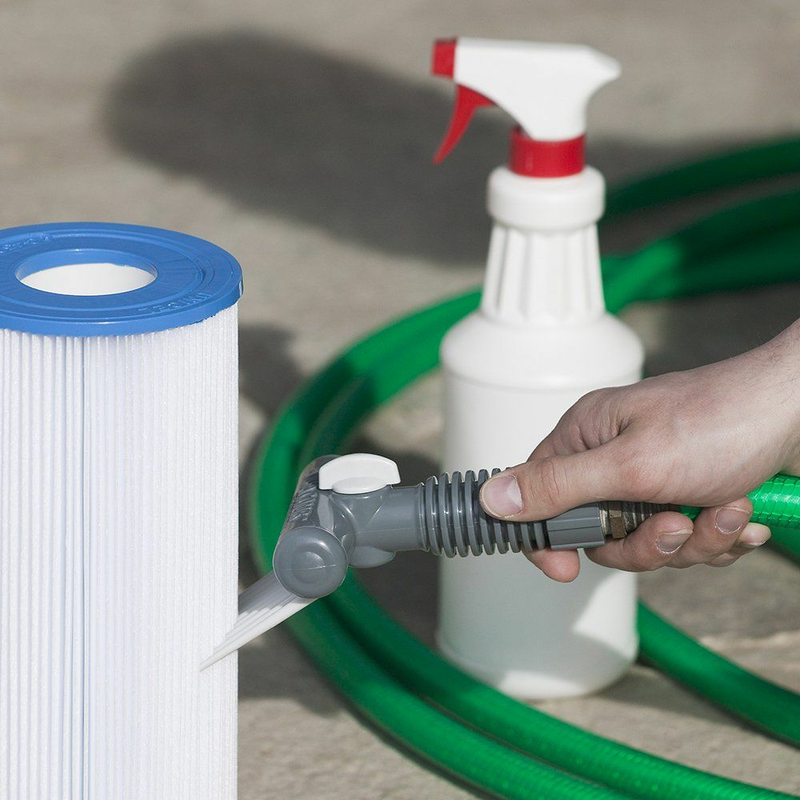 Spray filter with cleaner, let work for 5 minutes to break down stubborn dirt and algae. 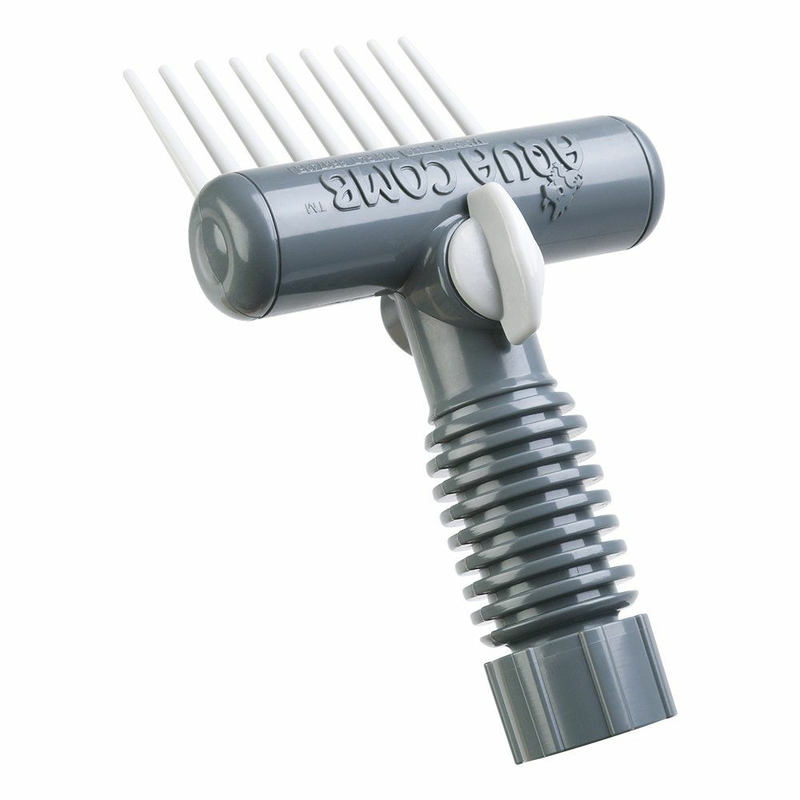 Turn on water, insert comb into filter, start at top and flush down to bottom using smooth rotating strokes. Pull Aqqua Comb out, rotate the filter 1/2 the come widge and repeat steps C through D until you have completed two cleaning rotations. You are finished! Shut off water and return filter to housing.